Malcolm Bradley has been active in the Nova Scotia choral community since 1980. He taught with the Halifax County School Board, conducting the Halifax County Girl’s Choir. The choir achieved a reputation for excellence and was nominated several times for the provincial music festival. The choir did a fourteen concert tour of North Carolina and performed at Carnegie Hall. Malcolm conducted the Halifax Schools Youth Honour Choir and served as the administrator for the Halifax Schools All-City Music program. Throughout his teaching career, Malcolm was widely respected for the level of singing achieved, not only by his school choirs, but in classroom singing as well. Malcolm has a passion for working with amateur adult choirs, serving as a church choir director for many years. He is presently in his 17th year as choir director at Grace United Church in Dartmouth and conductor of the Dartmouth Choral Society. 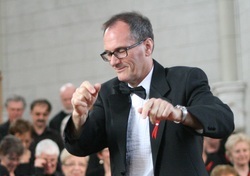 Malcolm has been very active as a choral clinician in Nova Scotia, New Brunswick, Newfoundland, Ontario, and Alberta. He is also active as a choral adjudicator at Maritime music festivals. He has taught elementary music methods to pre-service music teachers at Acadia and Dalhousie Universities and is past president of the Kodály Society of Nova Scotia. He also served many years on the National Board of the Kodály Society of Canada. Malcolm takes every opportunity to further his conducting skills and choral understanding – working with Doreen Rao, Lydia Adams, Andrew Shenton, and Mark Sirret and singing in summer workshops in Canada and the United States. Richard Probert, Music Director of the Sackets Vocal Arts Ensemble in New York is adept at both vocal and instrumental conducting. 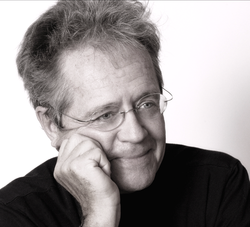 He has over 40 years of conducting experience ranging from children’s choruses to professional performing organizations. Richard led many college choruses and church choirs; produced and served as music director of chamber opera, music theater; staged choral performances and is active as a teacher of singing. He is the recipient of the Rockefeller Foundation support for conducting study and holds music degrees, with continued study at several conservatories of music. He holds a Certificate in Higher Education from Carnegie Mellon University and has served as a tenured professor of music and as Department and Division Chair at several colleges and universities. Richard is a published author: ‘Archie’s Way’, Lyons Press, a Readers Digest selection, contributing writer for SAIL magazine and published in numerous professional journals. An active blue water sailor, he is a Merchant Marine officer holding a 50 ton Masters License. "A Workshop on English Diction"
Did you really mean to sing “I swallow my bride?” Or did you mean, “I swallow my pride.” How about “I am yawning for your love?” Whenever we sing, we engage in a wonderful admixture of vowels and consonants, endless combinations that can either enlighten our listeners or leave them scratching their heads. This workshop is about clarity. Knowing how to sing vowels and consonants requires some basic knowledge and some work. In this workshop, we will explore the five basic vowels and variations thereof. We will learn about diphthongs, voiced and voiceless consonants, that nasty little ‘r’, and a whole lot about how proper diction enhances the singing process. We will explore the International Phonetic Alphabet (IPA) and enjoy ourselves by taking a fresh look at the wonders of singing in English. Our reference will be The Singer’s Manual of English Diction by Madeleine Marshall.